During the 2013-14 academic year, the authors report that 14 percent of students nationwide were chronically absent, “missing 10 percent or more school days, excused or unexcused.” In some cities, they continue, “that rate is considerably higher.” Detroit, they report, tops the list at 57.3 percent. While the authors acknowledge that truancy has a long history in the U.S., they point out that researchers have found links between chronic absenteeism and “a host of adverse academic outcomes.” As such, they write, it is a problem that remains well worth addressing. 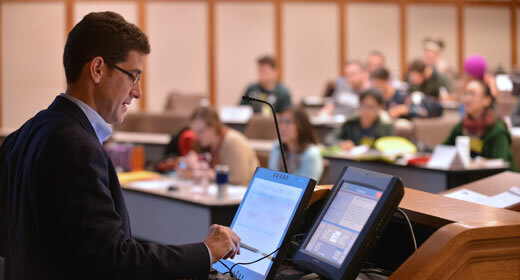 Brian Jacob is the Walter H. Annenberg Professor of Public Policy at the Gerald R. Ford School of Public Policy and a professor of education and economics--all at the University of Michigan. He is co-founder and co-director of the Ford School's Education Policy Initiative, which engages in applied, policy-relevant research designed to improve educational outcomes and reduce disparities.